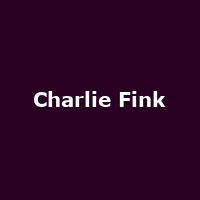 Charlie Fink is an English singer-songwriter and musician and former front-man of indie-folk band, Noah and the Whale. He released his debut album, "Cover My Tracks" in 2017. As well as releasing albums, Charlie has written music for the plays: "The Lorax", "As You Like It" (Regent's Park) and the film: "A Street Cat Named Bob".